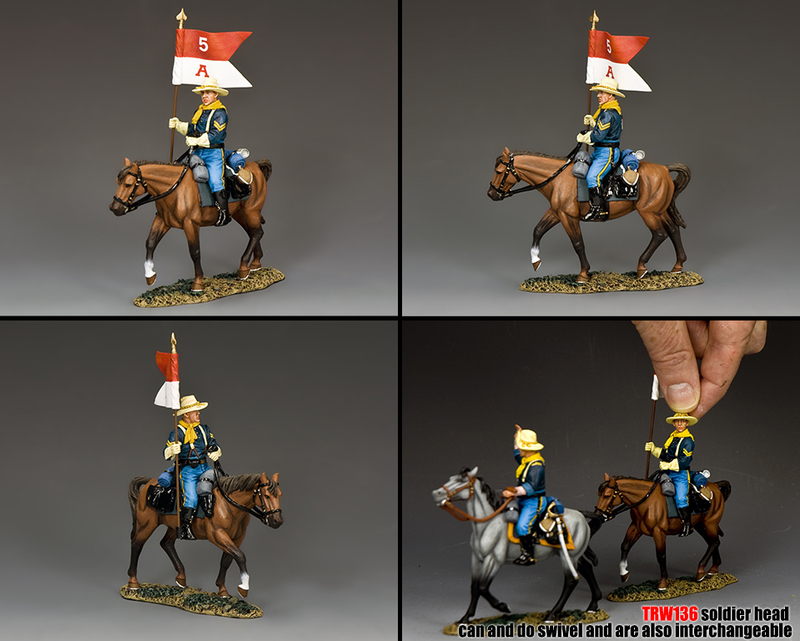 Every good U.S. Cavalry movie must have at least one of these corporals with the troop or company pennant... 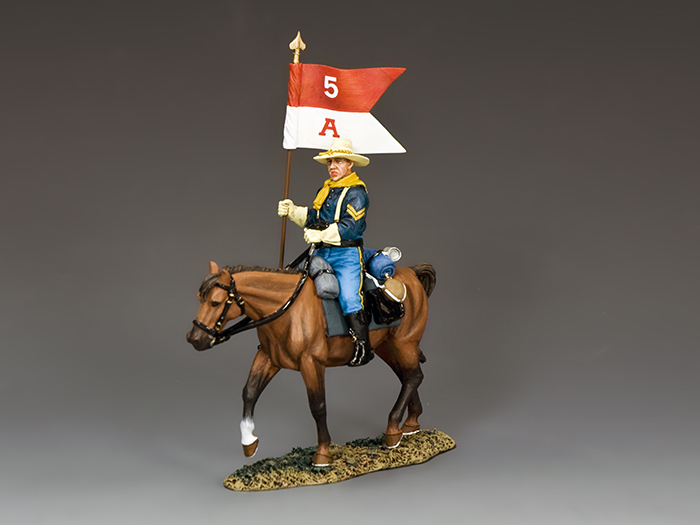 In this particular case it belongs to “A” Company, 5th U.S. Cavalry. Notice: The heads of the figures are mounted on a short metal pin that allows them to be swiveled from side-to-side or even exchanged with other similar figures to allow maximum variety and difference. This will enable some fortunate collects to build as big or as long a column as they wish.